Are you wondering where a great place to catch largemouth bass is in Florida? Kenansville Lake is a highly productive bass fishing location known for its big bass. Every year, our local experts seek and find quality largemouth bass for our clients to come catch. Florida is known for its incredible fishing and this destination will not let you down. 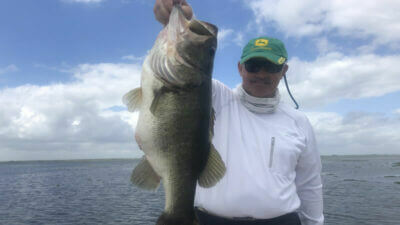 Kenansville Mixed Fishing Charters are a gateway for big bass fishing in East Central Florida. Our local experts have spent many days on the water making sure they get you on fish. Every trip and fishing charter is a unique experience making for the ultimate outdoor adventure. When you are looking for a great day on the water, make sure to use wild-caught live shiners. It will be the most productive way to put bass in the boat but you also can have a fantastic day on the water with wild-caught live shiners. was only a short distance away making for the perfect opportunity to catch some big bass. Dave and Emily fish only wild-caught live shiners on this fishing trip. They boated over 40 largemouth bass with several in the 6-pound class. The largest fish weighed in at 7.12 pounds. They could not have been more excited about their fishing trip and all the quality they caught. Several places across the state can produce fishing like this but this is one of the best! Captain Brent is looking forward to fishing with Dave and Emily again in the near future! Just shortly after this fishing trip, Captain Brent was back on the water for a two-day fishing chart on Kenansville Lake . He had the pleasure of fishing with Robert and Kathleen. They were traveling to Florida looking for a great outdoor experience. You truly can’t beat bass fishing when in search. Day one of the fishing trip was only artificial baits. 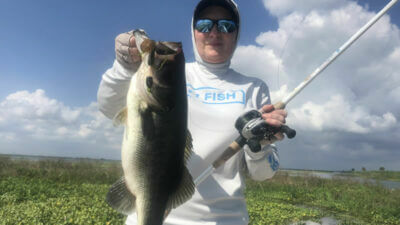 They had a fantastic day on the water catching over 25 Florida largemouth bass. The biggest bass weighed in at 7.5 pounds. Fish were caught on a wide variety of lures including senkos, swim jigs, giant swim baits and punching rigs in thick vegetation. Day two of this fishing adventure was also on artificial baits. The numbers dropped and were slightly down due to full moon phases bringing spawning Tilapia in. Robert and Kathleen caught 15 plus largemouth bass with several bass weighing over 5 pounds. 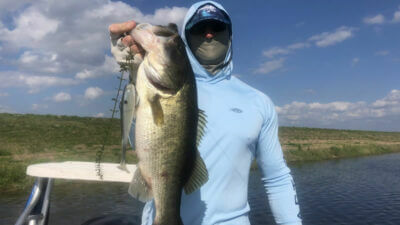 Bass were caught yet again on swim baits, swim jigs, senkos, and punching thick vegetation. Robert and Kathleen had amazing times fishing with Captain Brent. Captain Brent is looking forward to them coming back to Florida and catching more bass in the near future! bass and Kenansville blessed them on this fishing trip. It was an 8-hour fishing adventure with a mix of artificial baits and live wild-caught shiners. Kenansville has some incredible fishing this time of year. Joe and Brock boated 45 quality Florida largemouth bass weighing up to 9 pounds, a true Florida trophy bass. The big bass was caught on shiners around floating vegetation. Several other bass were caught on artificial baits including spinner baits, swim baits, swim jigs, and senkos. A front was rolling through and the fish fired up and ate beforehand. 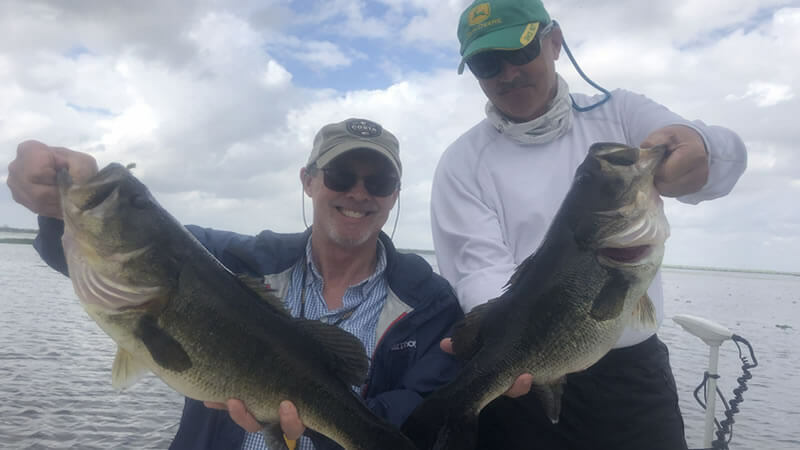 Joe and Brock had a great time fishing here in Florida. Captain Brent is looking forward to their next adventure! Don’t miss out on your adventure. 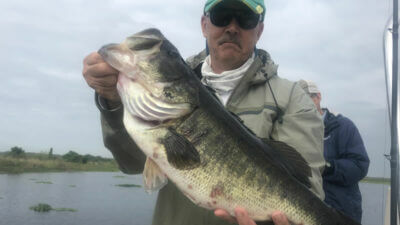 Big bass are being caught strong all across Florida and now is your chance to cash in on some action. You can use both live and artificial baits to land the fish you are after. Get on the water with a local expert and they will guide you on a fishing adventure of a lifetime. We look forward to seeing you on the water next time! BOOK YOUR EAST CENTRAL FISHING TRIP ONLINE NOW!